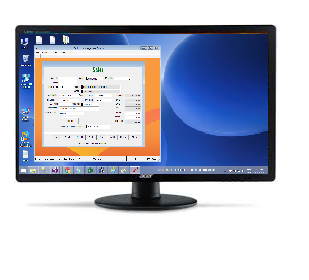 A Windows forms application is one that runs on the desktop computer. A Windows forms application will normally have a collection of controls such as labels, textboxes, list boxes, etc. Below is an example of a simple Windows form application. It shows a simple Login screen, which is accessible by the user. We developed ERP & Robotics Window applications and customize as per coustomer. We used Visual Foxpro for Window applications. It is very easy to install applicaton on computer which have any version of OS windows.